You open the kitchen cabinet, reach for the jar of peanut butter, and there on its top are mice droppings. What's the safest means to be rid of the mice? 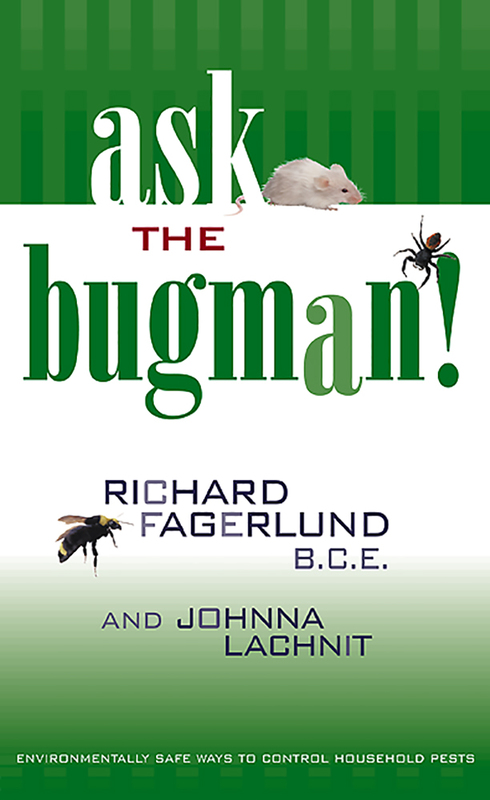 In Ask the Bugman, Board Certified Entomologist Richard Fagerlund offers advice on pest control drawn from answers to commonly asked questions in his nationally distributed newspaper column. For mice, live traps are best, using oatmeal as bait. Never use poisons or glue boards. He also encourages preventive measures to plug the holes mice use as entrances. With thirty-years' experience in pest control, Fagerlund offers suggestions for controlling nearly fifty common (and a few not so common) pests found in and around the home. The questions are divided into categories including disruptive pests, destructive pests, biters and stingers, reptiles and rodents, and garden and household bugs. But what separates Ask the Bugman from other such books is its environmental ethic, which is carefully laid out in the principles of Integrated Pest Management (IPM). Typical IPM methods include habitat modification, improved sanitation, and the use of less-toxic, pest-specific baits. As alternatives to harmful chemicals, he counsels use of home remedies, provides a number of these, and includes others sent in by readers of his column. Ten original sketches of common household pests give readers an appreciation of their appearance. Richard Fagerlund, B.C.E., formerly performed Integrated Pest Management at the University of New Mexico.